Sept 2016, Alappuzha, Kerala: The 52nd Wellbeing Tibetan Medical Camp concluded on September 9, 2016. People of Kerala were in a festive mode waiting to welcome their mythological benevolent King Mahabali to oversee Onam festivities across the state. The change in times have brought about change in the way the festival is celebrated in households. The past decade has seen an enormous increase in usage of Plastic including it in almost every aspect of daily life, it's as if we have forgotten to live without Plastics. Plantain leaves has given way to Plastic Paper leaves, Home cooked feast has given way to plastic wrapped take-aways. Every household had a set of cloth bag earmarked for grocery and vegetable purchase. The rise in convenient stores and a lifestyle of convenience created status symbols of plastic, under the pretence of convenience. Seldom realising that plastic is not bio-degradable and it harms the entire eco-system, something that God's Own Country is known for. This rapid change in lifestyle has brought in an increase in diseases. Diseases which were classified as 'Rich man's disease' earlier - Diabetes and Blood pressure, is now as common as common cold. Incidence of Cancer and Chronic Kidney Disease which was not very common, is now an epidemic with almost every households affected. Non-usage of plastic in any form is something that the 52 Wellbeing Medical Camps have insisted, a culture that the Wellbeing camps are synonymous with. Specially made paper bags are given to the participants to carry home the medicines. Wellbeing is not just about medicines, it's about way of living. 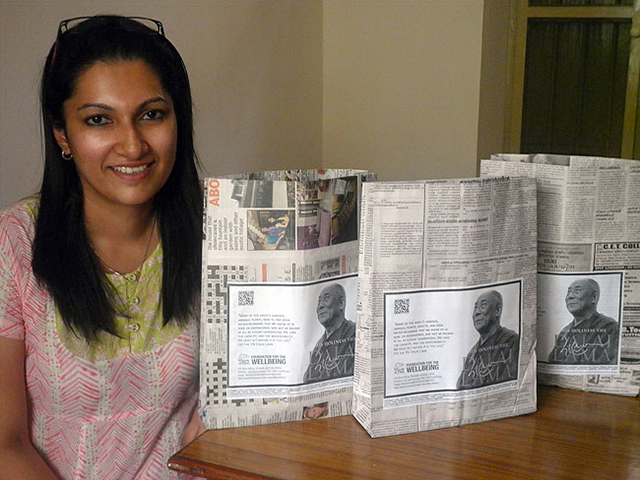 The paper bags are made for the Wellbeing camps by PaperTrail, a social entrepreneurship that empowers women by employing them in crafting paper bags & other paper products. The 5 years of association has also seen the start-up grow wings to become one of the major players in promoting paper-based products. Diwia, founder of PaperTrail, fondly remembers her team's association with Friends of Tibet Foundation for the Wellbeing which dates back to 2010. In her own words, "While we were yet in our fledgling stage, we were asked to supply the newspaper bags for medicines to be dispensed at the medical camps. In those days we had only a few women working on this, had not begun printing & other value add-ons to our bags, so the bags were dispensed as plain newspaper pouches on which the medicine list/prescription was clipped". Diwia T also talks about how Friends of Tibet helped PaperTrail in its branding process. "After we began printing & branding processes, Friends of Tibet was glad to use the front facia of the bag to spread its message through thoughtfully illustrated artworks. Every month we eagerly waited to see the innovative artworks from Design & People, which was used to spread awareness of its various initiatives. The creativity and ingenious use of words, lines and illustrations are a highlight in our monthly calendar". The paper bag with its message formed an important part of the campaign to spread usage of eco-friendly products. "The bag not only serves its purpose of carrying the medicines, it's average life expectancy is 4-5 users as it changes hands, thus spreading the message to a larger audience than expected & saving many a plastic bag from entering the earth". 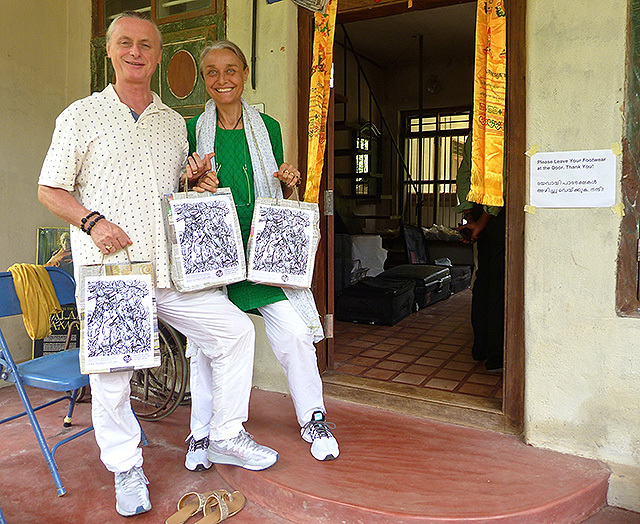 The paper used for the bag is collected from well-wishers who donate wholeheartedly. "At PaperTrail, even though we have expanded our repertoire to more than a hundred products across a range of materials, the newspaper bag vertical continues to be a non-profit vertical, as our entire quantity of newspapers continue to be donated". Diwia thanks the Wellbeing camp for not only helping her produce eco-friendly paper based products, but also helping her stay eco-friendly. "We are also proud of Friends of Tibet and its staunch Campaigner Sethu Das, who constantly and vigilantly reminds us to stay eco-friendly. He doesn't allow us to deliver the bags in a plastic bag even if it's in pouring rain & promptly returns any plastic rope we have used to tie up our bags securely for delivery. We now wrap the parcel in newspaper & secure with jute string. This keeps the despatch team at PaperTrail and the third party delivery service aware of their responsibilities to the only home we have, Mother Earth. Indeed a learning experience for both! We, at PaperTrail wish Friends of Tibet Foundation for the Wellbeing & Men-Tsee-Khang all the very best in the future, good health to the participants of the medical camps & God speed to the cause of Free Tibet!" Friends of Tibet Foundation for the Wellbeing, PO Box 16674, Mumbai 400050, India.